How many Russians died during the Russian Revolution? 40-50 million during the revolution and Stalin’s rule. Here’s a particularly forlorn historical date: Almost 90 years ago, between the 19th and 20th of December 1917, in the midst of the Bolshevik revolution and civil war, Lenin signed a decree calling for the establishment of The All-Russian Extraordinary Commission for Combating Counter-Revolution and Sabotage, also known as Cheka. 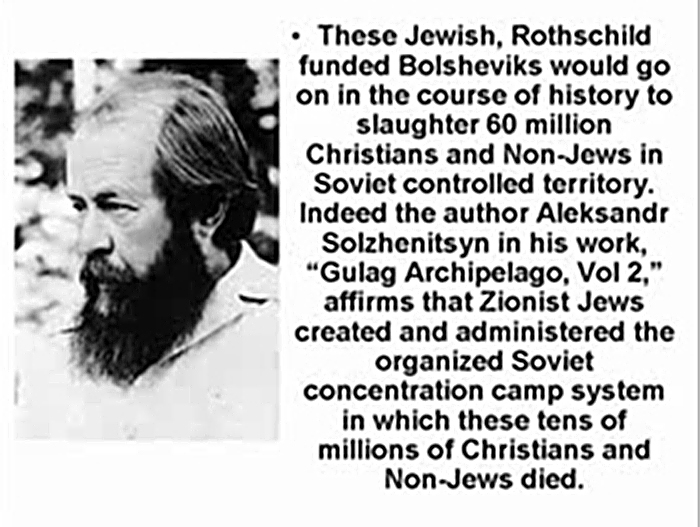 “In violent opposition to all this sphere of Jewish efforts rise the schemes of the International Jews. 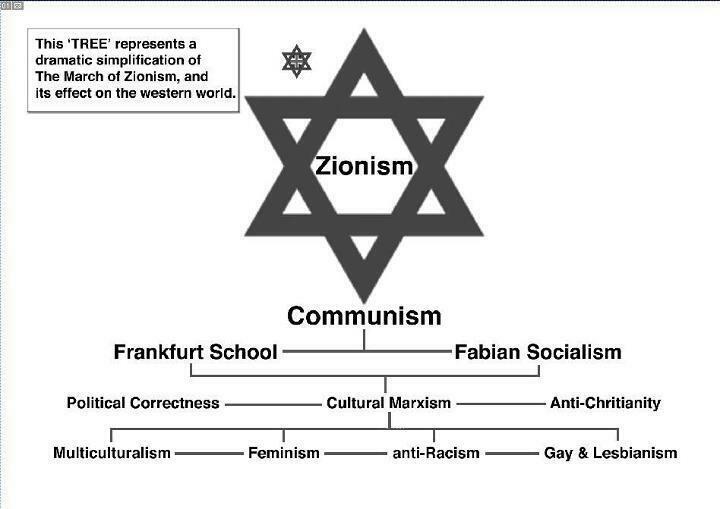 The adherents of this sinister confederacy are mostly men reared up among the unhappy populations of countries where Jews are persecuted on account of their race. Most, if not all, of them have forsaken the faith of their forefathers, and divorced from their minds all spiritual hopes of the next world. 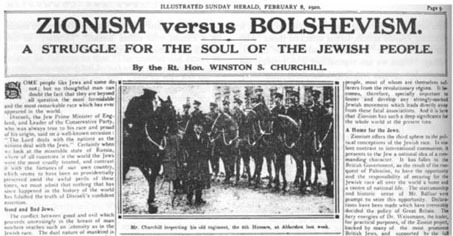 This movement among the Jews is not new. From the days of Spartacus-Weishaupt to those of Karl Marx, and down to Trotsky (Russia), Bela Kun (Hungary), Rosa Luxemburg (Germany), and Emma Goldman (United States), this world-wide revolutionary conspiracy for the overthrow of civilization and for the reconstitution of society on the basis of arrested development, of envious malevolence, and impossible equality, has been steadily growing. It played, as a modern writer, Mrs. Webster has ably shown, a definite recognizable part in the tragedy of the French Revolution. It has been the mainspring of every subversive movement during the Nineteenth Century; and now at last this band of extraordinary personalities from the underworlds of the great cities of Europe and America have gripped the Russian people by the hair of their heads and have become practically the undisputed masters of the enormous empire. “A Jew cannot be a true patriot. He is something different, like a bad insect. He must be kept apart, out of a place where he can do mischief – even by pogroms, if necessary. 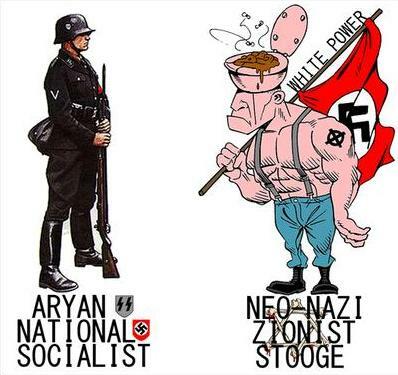 The word ‘nazi’ was a derogatory word used by opponents to National Socialism which means ‘backward peasant’. 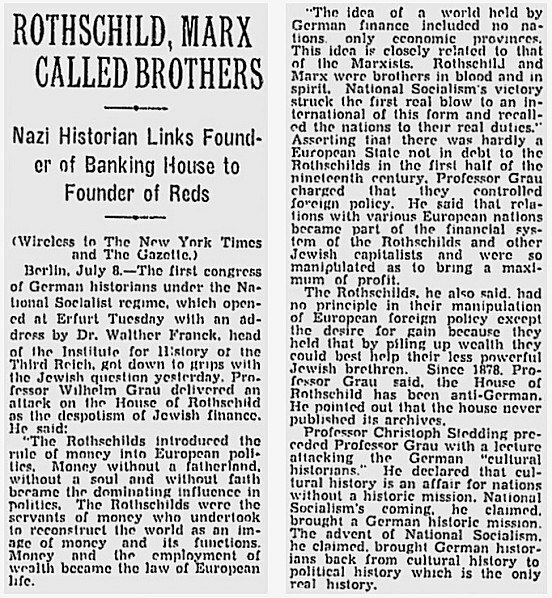 The NSDAP never referred to themselves as ‘nazi’s’.